If you like to sample cutting-edge theatre, original comedy and thrilling cabaret – look no further than Waterloo, where the Vault Festival is currently in full swing. Describing itself as “London’s biggest, boldest and bravest arts and entertainment festival,” Vault is like the Edinburgh Fringe – just on a more compact scale. The festival runs until 17 March. For 2019, Vault Festival plays host to more than 400 events, involving 2,000 artists, at venues close to Waterloo. As well as enjoying some drama and comedy, you can immerse yourself in unique theatrical experiences - or party late into the night. 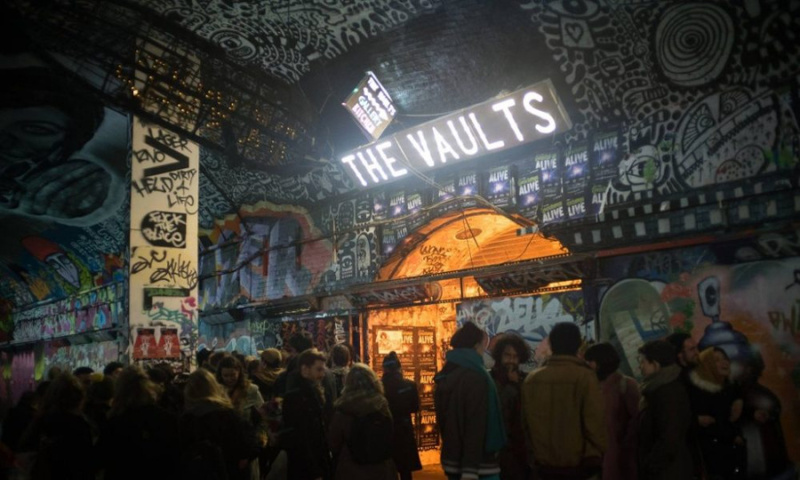 Most shows take place in The Vaults, Leake Street, SE1 – Waterloo’s subterranean arts hub beneath the railway arches. However, this year’s festival incorporates a range of other sites close-by; from theatres and pubs to pop-up venues and even vehicles. Highlights for 2019 include Counting Sheep. This immersive experience takes you to the heart of an anti-government demonstration in Ukraine, complete with choral music and an invitation to join in the feasting and protest. In Katie & Pip, a diabetic teenager explains how she trained her dog to monitor her blood sugar levels. And Hear Me Howl is the fiercely comic tale of 30-year-old Jess, who resists the pressure to have children – by joining a punk band. Tilda Swinton Answers an Ad on Craigslist tells what happens when this movie icon turns up on a gay man’s doorstep – resulting in an unlikely but uplifting friendship. And Can I Touch Your Hair? is a one-woman celebration of afro-Caribbean hair. Comedy shows include character comic Holly Burn playing no-nonsense political interviewer, Jane Pasty. And the whole family can enjoy One Duck Down a fun eco-show inspired by the true tale of rubber ducks lost at sea. For more about these, and the hundreds of other shows, visit the Vault Festival website.